This article was originally published at the Precision Farming Dealer. WAUKEE, Iowa — AgriSync recently released an update to its app, a collaboration and service management tool for professional ag advisors and their farm customers. With AgriSync’s new features, experts will be capable of receiving and solving problems remotely. 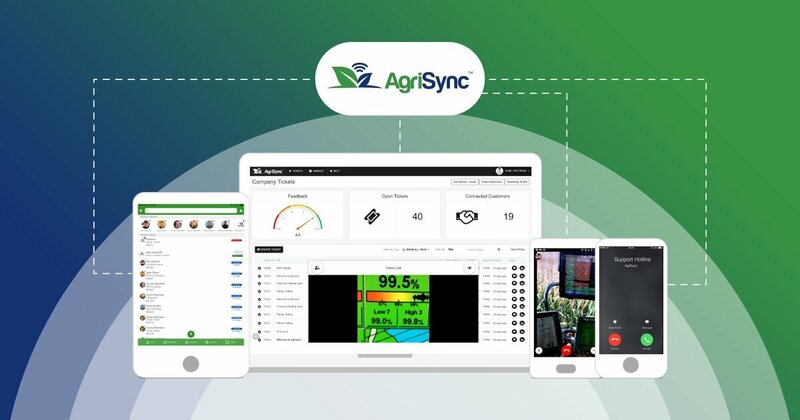 “We listened to feedback from our customers and worked alongside our customers to create and deliver new features that help them have a centralized and connected service team, even when mobile,” AgriSync President Casey Niemann said. VoiceHub: When a customer uses AgriSync’s mobile call system, the call is simultaneously sent to a selected team of advisors. If a member of the team is available, they can pick up the call instantly. If no team member is available, customers can leave a message for the team, which is recorded as a voice ticket. AgriSync’s mobile call system will then send customers a text confirmation that their message was received. Through this technology, ag advisors will be equipped with a call center on wheels, which provides solutions at a fraction of the cost. Text to Join: While on a live call, an advisor can create a ticket in AgriSync and invite the farmer to join a live video session by clicking a text, all while tracking their time. Farmers do not have to download the AgriSync app and register before joining the first live call. The advisor still has the ability to control camera views, capture a screenshot, or invite a third party member from their internal team or OEM. After the first live session, the farmer is asked to download the app to have one touch access to his advisors. The farmer can then create a ticket rather than having to call first. Broadcast: Offer proactive support with broadcast alerts. Create a broadcast message to share pro-active tips and reduce redundant support questions. Record or upload a one-minute video, select the audience, and send. Broadcast Alerts reach farmer customers and internal staff on their cell phone. The AgriSync update features are built at cloud scale, allowing advisors to work more efficiently in responding to issues. Advisors will also have more control when updating call teams, and reporting and tracking sessions.